Best digital magazine software is something we at PressPad are striving to be. We are a digital publishing platform that brings mobile apps and online stores for digital magazines and other publications including books and comics. Our mission is being the best digital magazine software in the world. To do this we are offering three solutions for publishers and authors. These are mobile magazine apps, news apps for WordPress publishers and online newsstand for PDF publishers. You won't eat a soup with a teaspoon, right? I mean you could but is that really convenient. That's a general rule of thumb because one thing is not the best option for multi-purpose use. The same goes for online software for publishers. That's why we have created a three publishing solutions platform to become the best digital magazine software platform. 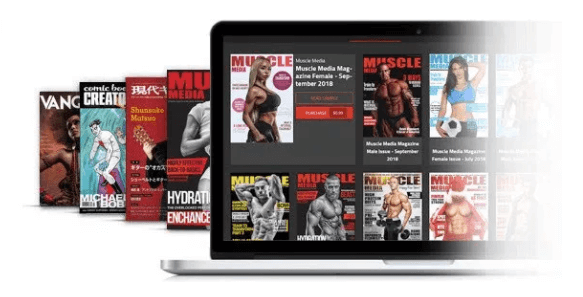 Digital Magazine Apps for publishers - Get your magazine to Apple App Store, Google Play, and Amazon Appstore. Start mobile distribution of your PDF editions through beautiful digital magazine replica as a mobile app. No refactoring or expensive adjustments to the mobile layout required. Mobile News Apps for WordPress - the best mobile reading experience for the loyal readers. Gain a new mobile marketing communication channel with mobile ads support and a paywall. Digital publishing platform for selling PDF access - sell access to your issues online, on your website or on partnering websites.